> Roots & Flowers: The Science of Mother Love: Is Science Catching Up to Mother's Wisdom? The Science of Mother Love: Is Science Catching Up to Mother's Wisdom? With February being the month of LOVE I thought it only fitting to take a look at the biological origins of love - how it is developed and nurtured in our species. As a mother who birthed naturally and breastfed my babes, this article really resonates with me. My eldest child is now a teen and I am so grateful that she is so solid in who she is. I'm grateful also that my girls are still so family-bonded and not caught up in the trappings of technology or left under the "electronic stewardship" that so many of their peers are. Their childhoods go by so fast! I count each moment as a blessing. By allowing their early lives to unfold as naturally as possible I have also learned a great deal about love. We truly are operating in a "limbic loop" as this article describes. Please read and comment on your experiences of birth, bonding and love in your home. A growing body of scientific evidence shows that the way babies are cared for by their mothers will determine not only their emotional development, but the biological development of the child's brain and central nervous system as well. The nature of love, and how the capacity to love develops, has become the subject of scientific study over the last decade. New data is emerging from a multitude of disciplines including neurology, psychology, biology, ethology, anthropology and neurocardiology. Something scientific disciplines find in common when putting love under the microscope is that in addition to shaping the brains of infants, mother's love acts as a template for love itself and has far reaching effects on her child's ability to love throughout life. To mothers holding their newborn babies it will come as little surprise that the 'decade of the brain' has lead science to the wisdom of the mother's heart. According to Alan Schore, assistant clinical professor in the department of psychiatry and biobehavioral sciences at UCLA School of Medicine, a major conclusion of the last decade of developmental neuroscience research is that the infant brain is designed to be molded by the environment it encounters.1 In other words, babies are born with a certain set of genetics, but they must be activated by early experience and interaction. Schore believes the most crucial component of these earliest interactions is the primary caregiver - the mother. "The child's first relationship, the one with the mother, acts as a template, as it permanently molds the individual's capacities to enter into all later emotional relationships." Others agree. The first months of an infant's life constitute what is known as a critical period - a time when events are imprinted in the nervous system. "Hugs and kisses during these critical periods make those neurons grow and connect properly with other neurons." Says Dr. Arthur Janov, in his book Biology of Love. "You can kiss that brain into maturity." While Oxytocin is an altruistic hormone and prolactin a mothering hormone, endorphins represent our 'reward system'. "Each time we mammals do something that benefits the survival of the species, we are rewarded by the secretion of these morphine-like substances." Says Odent. During birth there is also an increase in the level of endorphins in the fetus so that in the moments following birth both mother and baby are under the effects of opiates. The role of these hormones is to encourage dependency, which ensures a strong attachment between mother and infant. In situations of failed affectional bonding between mother and baby there will be a deficiency of the appropriate hormones, which could leave a child susceptible to substance abuse in later life as the system continually attempts to right itself.3 You can say no to drugs, but not to neurobiology. Human brains have evolved from earlier mammals. The first portion of our brain that evolved on top of its reptilian heritage is the limbic system, the seat of emotion. It is this portion of the brain that permits mothers and their babies to bond. Mothers and babies are hardwired for the experience of togetherness. The habits of breastfeeding, co-sleeping, and babywearing practiced by the majority of mothers in non-industrialized cultures, and more and more in our own, facilitate two of the main components needed for optimal mother/child bonding: proximity and touch. In many ways it's obvious why a helpless newborn would require continuous close proximity to a caregiver; they're helpless and unable to provide for themselves. But science is unveiling other less obvious benefits of holding baby close. Mother/child bonding isn't just for brains, but is also an affair of the heart. In his 1992 work, Evolution's End, Joseph Chilton Pearce describes the dual role of the heart cell, saying that it not only contracts and expands rhythmically to pump blood, it communicates with its fellow cells. "If you isolate a cell from the heart, keep it alive and examine it through a microscope, you will see it lose it's synchronous rhythm and begin to fibrillate until it dies. If you put another isolated heart cell on that microscopic slide it will also fibrillate . If you move the two cells within a certain proximity, however , they synchronize and beat in unison." Perhaps this is why most mothers instinctively place their babies to their left breast, keeping those hearts in proximity. The heart produces the hormone, ANF that dramatically affects every major system of the body. "All evidence indicates that the mother's developed heart stimulates the newborn heart, thereby activating a dialogue between the infant's brain-mind and heart." says Pearce who believes this heart to heart communication activates intelligences in the mother also. "On holding her infant in the left-breast position with its corresponding heart contact, a major block of dormant intelligences is activated in the mother, causing precise shifts of brain function and permanent behavior changes." In this beautiful dynamic the infant's system is activated by being held closely; and this proximity also stimulates a new intelligence in the mother, which helps her to respond to and nurture her infant. Pretty nifty plan - and another good reason to aim for a natural birth. If nature is handing out intelligence to help us in our role as mothers we want to be awake and alert! Newborns are born expecting to be held, handled, cuddled, rubbed, kissed, and maybe even licked! All mammals lick their newborns vigorously, off and on, during the first hours and days after birth in order to activate their sensory nerve endings, which are involved in motor movements, spatial, and visual orientation. 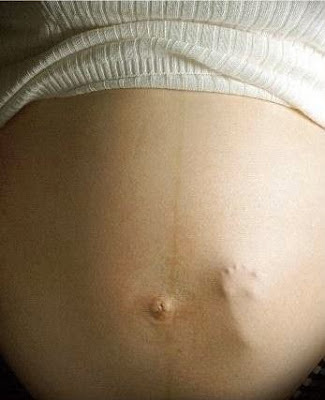 These nerve endings cannot be activated until after birth due to the insulation of the watery womb environment and the coating of vernix casseus on the baby's skin. Recall Dr. Janov's claim that you can kiss a brain into maturity. Janov believes that very early touch is central to developing a healthy brain. "Irrespective of the neurojuices involved, it is clear that lack of love changes the chemicals in the brain and can eventually change the structure of that brain." Mother's milk, a living liquid, contains just the right amount of fatty acids, lactose, water, and amino acids for human digestion, brain development, and growth. It also contains many immunities a baby needs in early life while her own immune system is maturing. One more instance of mother extending her own power, (love) to her developing child. Another key to understanding how a mother's love shapes the emerging capacities of her infant is what doctors Thomas Lewis, Fari Amini, and Richard Lannon , authors of A General Theory of Love, call limbic regulation; a mutually synchronizing hormonal exchange between mother and child which serves to regulate vital rhythms. Human physiology, they say, does not direct all of its own functions; it is interdependent. It must be steadied by the physical presence of another to maintain both physical and emotional health. "Limbic regulation mandates interdependence for social mammals of all ages." says Lewis, "But young mammals are in special need of it's guidance: their neural systems are not only immature but also growing and changing. One of the physiologic processes that limbic regulation directs, in other words, is the development of the brain itself - and that means attachment determines the ultimate nature of a child's mind." A baby's physiology is maximally open-loop: without limbic regulation, vital rhythms collapse posing great danger, even death. The regulatory information required by infants can alter hormone levels, cardiovascular function, sleep rhythms, immune function, and more. Lewis, et al contend that , the steady piston of mother's heart along with the regularity of her breathing coordinate the ebb and flow of an infant's young internal rhythms. They believe sleep to be an intricate brain rhythm which the neurally immature infant must first borrow from parents. "Although it sounds outlandish to some American ears, exposure to parents can keep a sleeping baby alive." This interdependence mandated by limbic regulation is vital during infancy, but it's also something we need throughout the rest of childhood and on into adulthood. In many ways, humans cannot be stable on their own-we require others to survive. Recall that our nervous systems are not self-contained; they link with those of the people close to us in a silent rhythm that helps regulate our physiology. This is not a popular notion in a culture that values independence over interdependence. However, as a society that cherishes individual freedoms more than any other, we must respect the process whereby autonomy develops. Children require ongoing neural synchrony from parents in order for their natural capacity for self-directedness to emerge. A mother's love is a continuous shaping force throughout childhood and requires an adequate stage of dependency. The work of Mary Ainsworth has shown that maternal responsiveness and close bodily contact lead to the unfolding of self-reliance and self confidence.9 Because our culture does not sufficiently value interpersonal relationships, the mother/child bond is not recognized and supported as it could be. The ability of a mother to read the emotional state of her child is older than our own species, and is essential to our survival, health and happiness. We are reminded of this each time a hurt child changes from sad/scared/angry to peaceful in our loving embrace. Warm human contact generates the internal release of opiates, making mother's love a powerful anodyne. Even teenagers who sometimes behave as if they are 'so over' the need for a mother's affection must be kept in the limbic loop. Children at this age might be at special risk for falling through the emotional cracks. If they don't get the emotional regulation that family relationships are designed to provide, their hungry brains may seek ineffectual substitutes like drugs and alcohol. 6. Prescott, James W. , Ph.D , Rock A Bye Baby, Time Life Documentary, 1970, Executive Producer: Lothar Wolff, Scientific Consultant. (last modified 2001/04/16).